Cherrelle Swain is the Associate Director for Strategic Partnerships and Outreach at CityBridge Education, where she develops the talent pipeline of school founders by surfacing strong leaders eager to build innovative and equitable schools that transform possibilities for students and families in Washington, D.C.
Before joining the CityBridge team, Cherrelle was the Development Officer for Friends of Choice in Urban Schools (FOCUS). She also led student recruitment, family outreach, and community engagement at E.L Haynes Public Charter School. 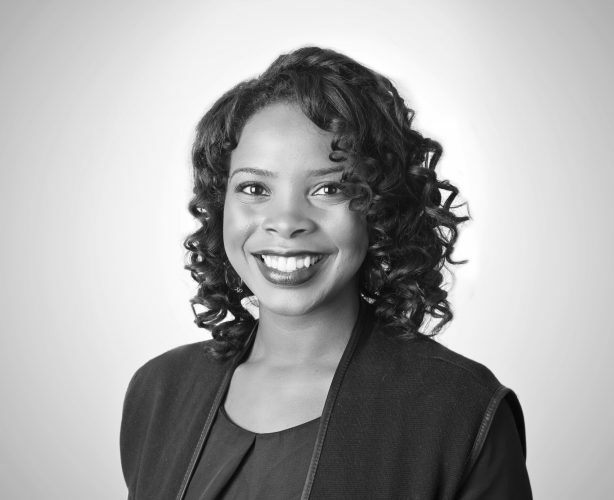 Before her time at Haynes, Cherrelle taught adult education students digital literacy and workforce development at Latin American Youth Center’s YouthBuild Public Charter School. Cherrelle attended Howard University where she majored in International Business with a concentration in Information Systems. Upon graduating from Howard, she spent three years teaching English in Seville, Spain as a fellow for Spain’s Ministry of Education, while earning an MBA from the University of Seville in International Business.